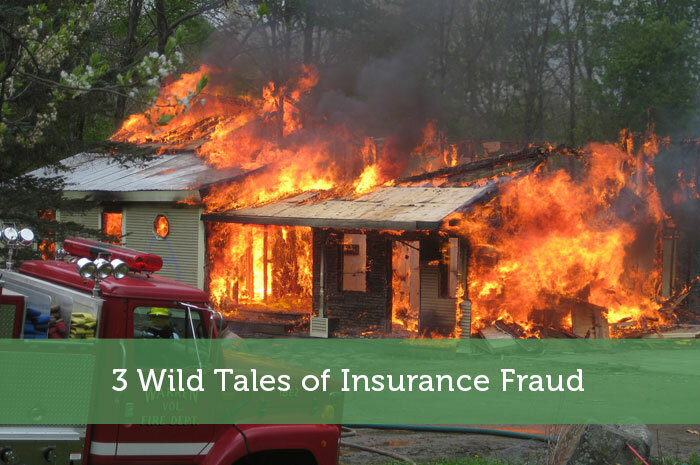 Everyone has heard what they believed to be a pretty wild tale of insurance fraud—whether it be burning down your own house or faking your own death—but, believe it or not, there are some individuals who have really gone above and beyond anything you might have heard. Unfortunately, these individuals are paying the ultimate price, no matter how “full-proof” they thought their plan was, and it usually is delivered in the form of a prison sentence. In fact, one such case listed below landed the perpetrator a 190-year prison sentence! Needless to say, don’t try these at home. 1. Pill Mills — Never Heard of Such a Thing? Good. There are several insane cases of extortionist pill mills floating around out there, but there are two that come across as especially slimy. First off, we have Tam Vu Pham—a Medical Clinic Operator from California—who sought out the consent of over 5,000 perfectly healthy individuals for surgeries that they did not need. Why? To bill the insurance companies for the procedures. By paying off the participants, he was able to rake in over $96 million. Second, there’s Dr. Stephen Schneider, who successfully oversaw a pill mill in Wichita, Kansas that managed to churn out $6 million dollars-worth of narcotics that resulted in 68 deaths due to overdoses. So many deaths and families ripped apart just so this crooked doctor could make some extra cash. What do they have in common? All three have been used in insurance fraud; in fact, all three were used in the same attempt at insurance fraud. A phlebotomist and a mortuary assistant out of Los Angeles, decided to use their individual career skill sets and connections to invent a family member and then kill them off. Obviously, that plan is riddled with pot holes, but it didn’t stop them from pulling out all the stops to try and get away with it. Not only did they put on a fake funeral, for this invented family member, but they even threw a mannequin into the coffin and weighted in down with cow meat to sell the authenticity. Unfortunately, these masterminds had their plot foiled when the doctor they enlisted to forge all of the medical documentation backed out of the plan. Instead of collecting a $900,000 insurance pay day, they collected prison sentences. Burning down one’s own house to collect on the insurance is something that we’ve all heard of happening, but Marc Thompson—a Chicago grain futures market executive—took this common scheme one step further. Having accumulated monstrous amounts of debt from living beyond his means, Mr. Thompson decided that the best way out of it was to burn down his house and make it look like he went up in flames with it. The intention, of course, was to collect the $730,000 insurance policy from an unknown beneficiary and walk away with a new identity, debt free. In order to fake a death, however, you need a body. So, Mr. Thompson hauled his 90-year-old mother down to the basement and left her there before torching the house. When investigations proved that it was not Mr. Thompson who died in the fire, he didn’t end up in Mexico, as intended, but in jail serving a 190-year federal prison sentence. I don’t know that I’d say those stories are fantastic but it is very interesting to hear how dumb people can be. It’s unfortunate that some resort to fraud (and murder) in an attempt to find the “easy” button in life. People’s greed can lead to all kinds of senseless acts, but these are some pretty extreme cases. Who knows how many people get away with this kind of stuff and we never hear about them. I am going to go with Jason on this one. I think people are just stupid to think they could pull these things off. I mean, you really think a medical examiner isn’t going to know the difference between a man and a 90-year old woman? Yeah that guy was especially dumb. I guess he figured that with burned bones it would be unrecognizable. Obviously not the sharpest tool in the shed. People can have the craziest ideas. I watch a lot of mystery reality shows and people make no sense! Unfortunately there are a ton of stupid people out there. When that trait is influenced by greed, watch out. Lol! It amazes me how idiotic some people can be. I’d love to make some good money too, but murder and fraud take the cake. Wouldn’t we all like to make some good money? Most of us just aren’t willing to go to such extremes. Us bloggers just put in a ton of time working on side businesses instead. It never pays to commit insurance fraud. However I think the worst kind of insurance fraud is lying on the application. For example lying on a life insurance application that you smoke or have a medical condition could result in receiving none of the benefit and possible fines. People just assume that they’ll never get caught. Then when something does happen that leads to a claim, you better believe there will be investigators watching you to find out just how honest you’ve been. Fraud is one thing, but going as far as killing your own mother for insurance money, really? that is insane. I suspect there was more to it than just trying to get the insurance money. He probably viewed her as some kind of burden and was bitter about it. Still it doesn’t come anywhere close to justifying such a despicable act. Wow – crazy and scary stuff! On a side note:A Funeral, a Cow, and a Mannequin – sounds like a great title for a movie! I’d be intrigued enough to watch the preview to a movie titled that. Not so sure about paying to see it though. Those are crazy, but not surprising, stories. Insurance fraud is big business. I heard a story of a guy in Florida who somehow managed to get tons of medicare numbers and was billing two artificial arms and two artificial legs for each. You would think the government would have caught that, but it was finally one of the victims of the fraud getting a remittance in the mail about his artificial limbs. Realizing he had four perfectly working limbs, he called the police. Amazing. That’s a pretty funny story. There really should be measures in place to automatically detect such blatant fraud. It would be confusing to get a letter in the mail about your supposed artificial limbs. People baffle me sometimes, how do they think they can get away with this stuff? I’d love to hear the story of someone who has managed to create a person and kill them off but I guess they’d be in big trouble if they ever told it!. I wouldn’t be surprised if people get away with stuff like that. The problem with a lot of stupid people is that they don’t realize that they’re stupid. So they end up thinking they can outsmart others, even if it’s those people’s jobs to catch people pulling scams. It’s easy to see why so many would be lured by insurance fraud. Insurance companies deal with such large numbers that a well-orchestrated plot can be identical to the real thing. Unfortunately, it’s the ones that get really greedy and try for large payouts that get caught while smaller cases are never found out. A few months ago, I was going home from work and there was a car seriously tailgating us. Like, I can’t see your bumper in the rear-view mirror close. And this was a road with a 60mph speed limit! The driver admitted to me that he was very tempted to slam on his breaks and let the guy hit us since layoffs were coming in a couple weeks. That thought has crossed through my mind when someone is tailgating me too. That and when someone cuts across my lane forcing me to brake. You’re pretty likely to get away with something like that, but the payout usually isn’t worth it. The other reason people are willing to try to defraud insurance companies is that they view them as this big corporation that can deal with the loss. Sometimes they also have a personal prejudiced against that company due to previous experiences. It’s even crazier that the people really thought they could get away with it. Wow, great tale of fraud! I’ve heard some good ones but those are pretty interesting. I think you’ll find that historically there’s been similar cases of insurance fraud involving medicare. Doctors billing for non-existent visits, services that are not needed being “provided”. I also have to wonder how many of the “medical Innovations” are really necessary and are a legal form of insurance fraud. The CPAP is a great example of that. CPAP machines didn’t exist 20 years ago, now there’s millions of Americans with “Sleep Apnea” that can’t exist without one. The CPAP industry is a multi-million dollar industry that sprang up out of nowhere. You have to wonder if that’s a legal form of insurance fraud! Oh I know all about that ‘legal fraud’ here in Canada. The doctors here love the rack up referral commission on all kinds of unnecessary tests, prescriptions and procedures. The last doctor I had visited tried to refer me for like 6 tests in one visit with no real justification. Needless to say I haven’t been back to see them. Those stories made me sick to my stomach. Some people really are demented. No doubt….no conscience at all.